On behalf of The Gift of Music Team, I want to express our sincere gratitude to EVERYONE who made December 8, 2011 another memorable and special night. 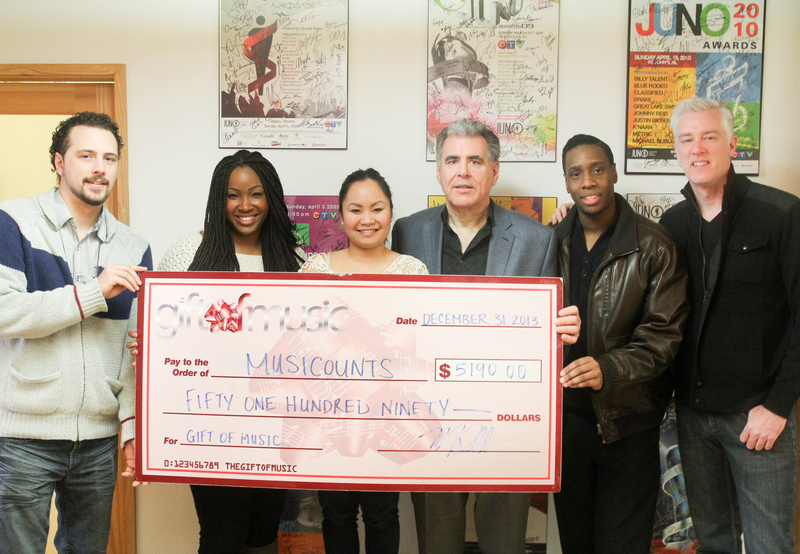 In 2 years, we are proud to have donated $9,000.00 to MusiCounts Canada. It goes without saying that from the conception of the idea in August 2010, each event has been a true labour of love for our team, and we have so many people we want to thank. We were so thrilled to have you host this event that has such great meaning to us. Your pizzazz set our stage on fire, and that one of Canada’s most trendsetting artists was a part of this means the world. It is one thing to be a great DJ, that which all of you are. 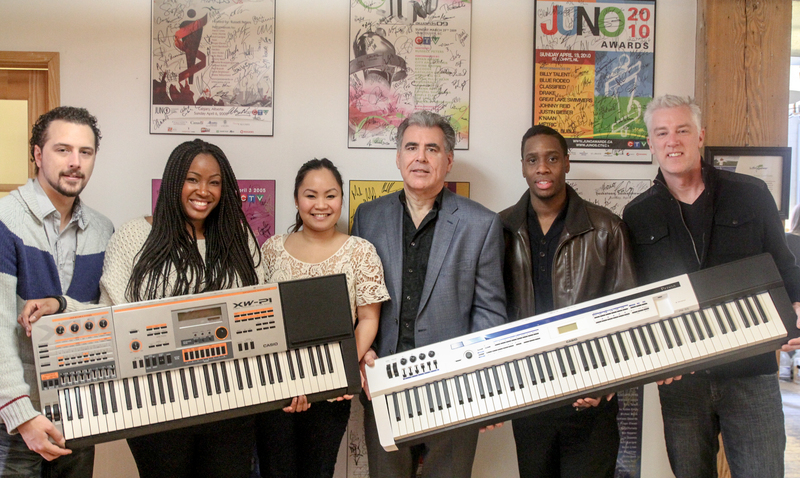 But to support our mission to keep music programs alive in schools across Canada is a greatness unparalleled. Andreena Mill, Divine Brown, August Rigo, Ray Robinson, Omar Lunan, A-GAME, Rich Kidd, Slakah the Beatchild, Shi Wisdom, Ms Paige, Yosvany and Selah (the Band)…that you would embrace our vision and exceed our expectations is the BEST Gift of Music we could ever ask for. We are truly grateful for being the substance of our show, and for loving music as much as we do that you would make sharing it with us your life’s mission. Thank you for all your help, your flexibility, and the wonderful donations towards our cause. Baker’s Jerk (Brampton) – (The food was scrumptious). Lawrence Kerr Photography, you shot the moments that will be life-long memories for us. Thank you. Monique, Beth, Camesha, Donna and Juanita. In some ways, you ladies were the true stars of the night. No brawls at the door and raffle tickets galore. We are so grateful to you. We’ve really come to cherish this special relationship with the MusiCounts organization, and you can look forward to our continued support. All the best! Who put up with us while we multi-tasked for weeks one end. Thank you for choosing to spend a cold Thursday night in December with us. Our next event is already in the works, and we promise you warmer weather! Great to see everyone united in music. P.S. If we have forgotten anyone, it is NOT that we are ungrateful, it is that we are human. We cherish everyone who shared the evening with us. On behalf of The Gift of Music Team, I want to express our sincere gratitude to EVERYONE who made December 2, 2010 such a memorable and special night. It goes without saying that from the conception of the idea in August 2010, through to its execution in December 2010, it has been a true labour of love for our team, and we have so many people we want to thank. We want to express our sincerest thanks for bringing your unparalleled hype factor to the mic, and acting as the evening’s host. It is one thing to be a great DJ, that of which both of you are. It’s another to use your talent to make others shine. 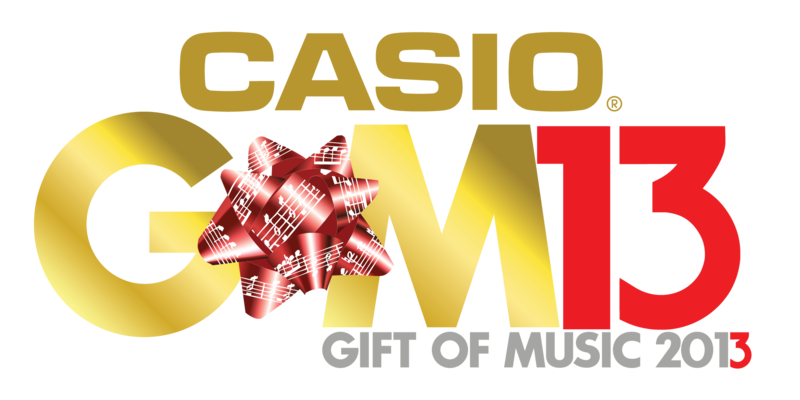 The spectacular performances by the Gift of Music artists, are due in large part to your ability to support them seamlessly. You two are truly musical gifts. Revived, Liya, Khandi, Earl LaPierre Jr (Eman), Daniel Daley, Trish, Melanie Durrant, Aion Clarke, Kim Davis, Saukrates, Ray Robinson, and The AIM Dance Team….there are no words to describe the magic you helped to create last night. Sometimes, when we do things from the heart, it shows. And you know what, last night it showed. What you did last night went beyond our expectations, and as I choke back tears (calm and collected tears of course), you will never know how much you are loved and appreciated. Who is too humble to appreciate being thanked separately, BUT, whose appearance and amazing performance was nothing short of shock and awe. We love you Jully, thank you. Thanks for coming through for us. In more ways than one. So happy you came! Ginger – http://www.directcom.ca (The BEST graphic designer! We cannot thank you enough). Zakiya Tafari a.k.a. Soca Dread, you’ve never let me down, and your support and friendship is irreplaceable. Chantal, Yonette, Sarita and Bethann – In some ways, you ladies were the true stars of the night. No brawls at the door and raffle tickets galore. We are so grateful to you. Even though your organization is the benefactor of our event, we appreciate the support with prizing, the use of the MusiCounts banner, and moreover, the tremendous support and enthusiasm you shared with us over this event. As we said, we knew your cause was the right fit for us, and apparently, so did the rest of the city. 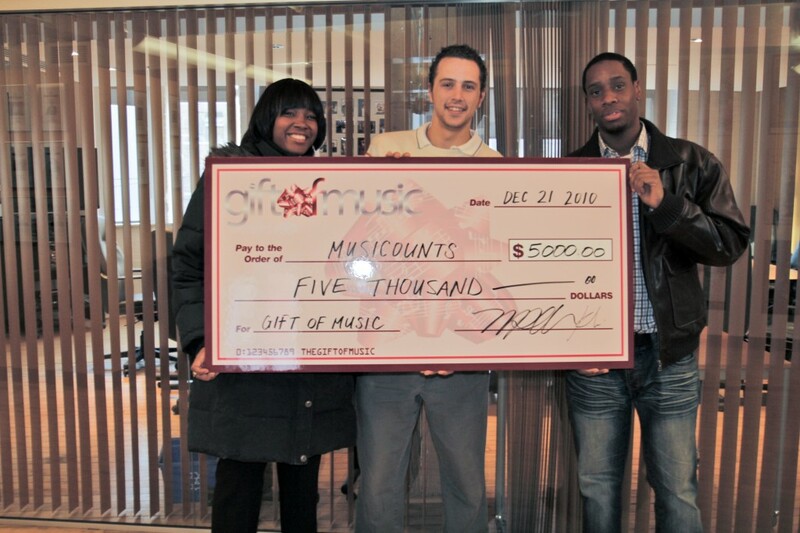 We are truly happy to have done our part to help keep music programs alive in Canadian schools. Who chose to celebrate her birthday at The Gift of Music, and brought a few friends, (or 10, or 30). For that, we are thrilled that we could be a part of your special day, and that because of you, so many people got to experience The Gift of Music. We hope that you enjoyed yourself, as much as we enjoyed having you.